Please NOTE this page contains affiliate links that will earn me a small commission if you make a purchase, HOWEVER there will be no additional cost to you. Think of it as a small TIP that will enable me to support my Blog :- ) Thank You - Dave - the "Cancer Buddy"
Unfortunately our modern lifestyles include a lot of stress on a daily basis which often becomes chronic emotional stress which is one of the main causes of most chronic degenerative diseases, especially cancer. I know my stage 4 prostate cancer was definitely caused by a number of extremely stressful situations I experienced throughout my life, which was responsible for a steady build up of toxic waste that eventually overwhelmed my immune system and enabled the cancer to take over and spread throughout my body. In this day and age, after nutrition and your diet, chronic emotional stress is the biggest culprit that destroys health and wellness. It is important for all of us to dwell on emotional stress and become fully aware of how stress affects us and how we can manage it as it has definitely become a major cause of most chronic degenerative diseases, and especially cancer. The problem is that we are not always aware of the stress that we are enduring and even less aware of how to manage it, hence the "Silent Killer" label. Stress is often described as a feeling of being overwhelmed, worried, out of control or run-down. Stress can affect people of all genders, cultures, ages, circumstances and living in all the world. It can lead to both physical and psychological health and wellness issues. Stress is defined as being any painful "emotional experience accompanied by predictable behavioral, biochemical and physiological changes in the body". However i prefer this short to the point definition: “Stress refers to any reaction to a mental, physical or emotional stimulus that upsets the bodies natural balance”. Stress can also be beneficial at times as part of a fight or flight response, producing a boost that provides the drive and energy to help people get through frightening situations like a physical attack or work deadlines. Extreme amounts of stress become chronic and have severe health consequences and adversely affect the cardiovascular, endocrine, immune and central nervous systems. Just for a minute stop to think if you have had any of these emotional feelings recently ? Fear, Anger, Rage, Anxiety, Hate, Grief, Guilt, Bitterness, Loneliness, Unforgiving, or Jealousy, or how often do you complain, criticize or judge people ? These are all major “stressors” ! that you must be aware of. Emotional stress has also become far more prevalent in our modern lifestyles where we live in a culture of fear, anger, hate and daily stress. In this day and age, after nutrition and your diet, stress is most probably the biggest culprit in destroying your health and wellbeing and by far the most difficult to manage and treat. Research has shown that stress creates an excellent breeding ground for cancer and heart disease and other chronic lifestyle illnesses and contributes to as much as 80 per cent of all major diseases, specifically cancer and heart disease. How does “stress” indirectly enable cancer cells to become established ? 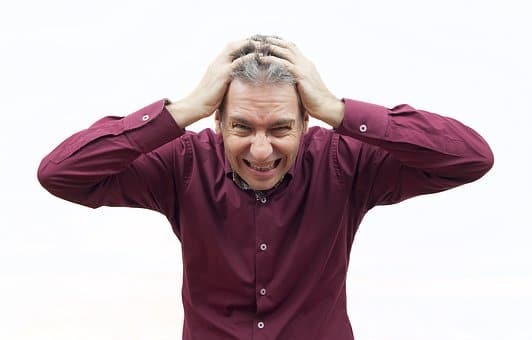 Most stressors trigger the nervous system to activate the “fright-flight–fight” response which causes the adrenal glands to release a surge of hormones, including adrenaline and cortisol. When the stress passes the nervous system activates the ”rest-relax-repair” response that returns everything to normal. However if we have prolonged or chronic stress we remain in the “fright-flight–fight” mode releasing chemicals and upsetting the bodies natural balance. This is often referred to as “distress”. These chemicals eventually create an acidic condition, and Cortisol also increases the glucose in the bloodstream and alters the immune response, all of which creates an ideal environment for cancer cells to grow and form tumors. Dr. Hans Selye, stress expert and author of Stress Without Distress, said that it is not stress that is harmful – it is distress. Distress occurs when emotional stress is allowed to accumulate without being resolved and not dealt with in a positive way. It was only after I had completed a few sessions with my chiropractor and energy therapist, who spent time doing a life scan of all the highly stressful and traumatic events in my life, that I realized that “my cancer” was a direct result of chronic stress over many years. The chemicals released as a response to the stressful situations had accumulated excess acidic toxic waste that my body had stored in various parts of the body slowly blocking my energy meridians and compromising my immune system; creating an acidic environment for the cancer to develop. This was the start of many controlled detox sessions to get rid of all the accumulated acid but far more importantly I began a conscious spiritual transformation effort to focus on being positive, happy, motivated and grateful while responding to stressful situations with love and caring. Being happy, positive, loving and caring releases serotonin and creates an alkaline inner terrain in the body which is very healthy and boosts the immune system enabling it to fight the cancer or other diseases..
Our lives are governed by our thoughts – negative or positive, so we are totally in control of the consequences of our thoughts and therefore we control our own health and wellbeing. Unfortunately through the Law of Attraction negative thoughts attract more negative thoughts and attract similar negative people. BUT fortunately the opposite is also true, positive thoughts generate more positive thoughts and attract positive people. Keep away from people who try to belittle your ambition. Small people always do that, but the really great ones make you feel that you, too, can become great. Please remember that getting your cancer diagnosis will have naturally triggered a huge amount of stress aggravating the already highly acidic situation in your body. In addition, if you decide to use a non conventional alternative healing programme like I did, that will also initially create some anxiety not knowing what to expect and often getting negative criticism from family and friends who are not aware of the effectiveness and success rate of alternative treatment options. However one of the first things an alternative healing practitioner will do, is a “lifespan” scan starting from your birth and identifying all of the highly stressful and traumatic events that occurred in your life. This will include fear, anger, hate, resentment, grief, guilt, relationships, marriage, divorce, deaths. work, home, money problems, and others. This process enables you to release all of these accumulated stressful thoughts from your mind and enables you, under the guidance of your therapist, and you “Cancer Buddy” to generate a positive, happy, motivated, grateful, loving and caring attitude. This will be the critical stimulation your healing programme needs and as long as you continue this attitude at all times you will get healed and return to a healthy state. The ultimate goal, as Wayne Dyer eludes to: ”Is never to complain, criticize or judge”. Imagine what a wonderful world this would be; if everybody could achieve this ! Firstly it is important for you to assess your current lifestyle and identify any stress that you are currently experiencing as well as a "lifespan" stress / trauma assessment. This may be short term stress, like you are unable to pay the rent this month, medium term stress in that you have a relationship problem, or a long term stress like a close relative has died. 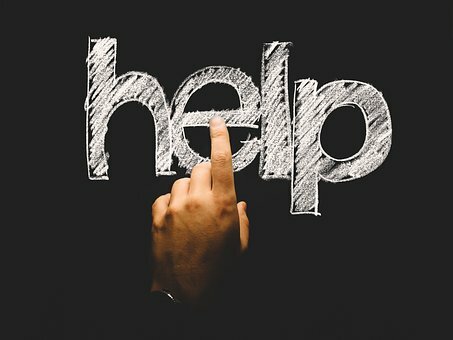 Each of these should be addressed based on the specific circumstances, but in all cases, discussing, communicating and sharing the situation with a loved one, cancer buddy, trusted person or professional will be a great help. Don’t bottle it up – the bottle will explode sooner or later and that leads to serious depression and trauma. Generally stress may consist of a range of experiences that include problems with family, work, finances, sickness, death, marriage, pregnancy, divorce, house move, exams, crime, retrenchments or relationships. 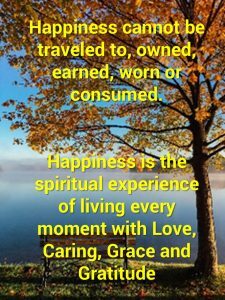 In addition any other kind of trauma or mental, spiritual or physical stress or a combination of these. Although you can have positive and negative stress, most of us experience more negative stress which activates various processes in the body that invariably result in acidic conditions within the body creating an ideal environment for disease. It is important to realise that during stress your body uses extra B complex vitamins and requires additional Vitamin C. Herbs that are effective in managing stress include chamomile, passionflower, valerian and hops. Did you know that organic dark chocolate and walnuts are also very good for stress relief together with excercise and deep breathing. Check out Dr Groups highly effective stress relief products that are tried and tested. Negative stress often results in feelings of inadequacy, despair, distrust, rejection, anger, and depression, which in turn can cause health problems and chronic disease. This can include migraines, headaches, rashes, stomach disorders, sleeplessness, high blood pressure, heart disease, stroke, Alzheimer’s, cancer and even obesity. Although there are many vitamins and natural herbs that are known to relive stress and have a calming effect, it is important to assess how serious your stress is and start confiding in a loved one, your cancer buddy or a trusted friend. However if your stress is having a negative effect on your day to day living, and you are not coping and you are very depressed then you need to get professional help. Next Lifestyle Choice - Pollution or Back to "Lifestyle Choices"